Now that spring is upon us, it’s time to examine the trends that are most popular for this season. After a good amount of research, I have narrowed the trends down to nine of the most seen on the Spring/Summer 2019 runways in New York, London, Milan, and Paris. 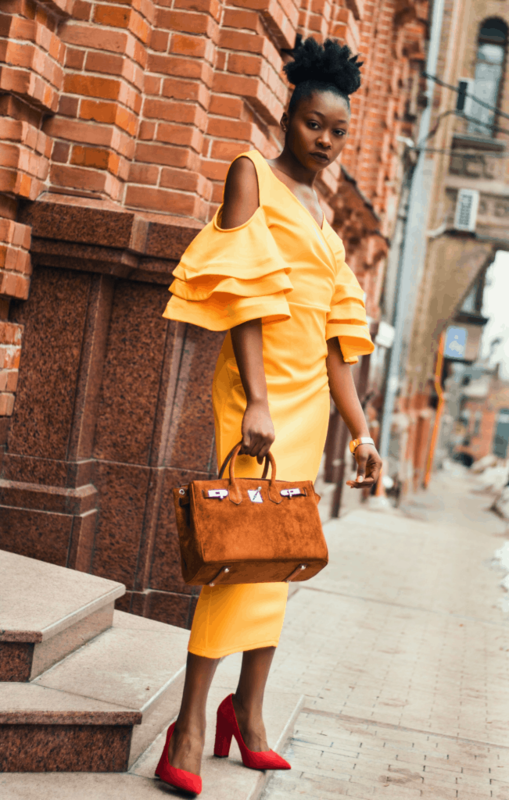 Yellow has been a fixture in spring collections for a couple of seasons, but it was really brought to the forefront during Spring 2019. I really like yellow hues because they are bright for spring and they are flattering for most any occasion. Tie-Dye has made a big splash this season and it’s not just for festivals anymore. This trend has made its way into mainstream fashion for the season. How do you feel about this trend? My inclination is to shy away from it because it really isn’t my style. However, some may disagree and wear it all season! To each his own! Scarf prints along with flowing hemlines were quite popular for the Spring 2019 season. Flowing dresses with distinct patterns make this a beautiful trend. The designers that I’ve listed below all have exquisite scarf prints as part of their collections. I really like the design of the dresses as well as the scarf print because they are light and airy which is perfect for spring and summer. Move over Little Black Dress (LBD), the Little White Dress (LWD) is here to take your place, at least for a little while. The LWD is fresh and very spring-like. It’s perfect for all those special occasions like the Kentucky Derby and Mother’s Day that occur during the spring months. Feathers came in all shapes and designs for Spring 2019. From hats to coats, feathers were everywhere! The length of shorts is considerable lower this spring season. Designers have lowered the length of their shorts to just above the knee. I tend to favor this trend because I think it creates a more classic outfit. Polka dots have made appearances on the runways during past seasons, but this Spring 2019, their presence has been ubiquitous. Have a great time wearing this fun pattern! I know that I will! 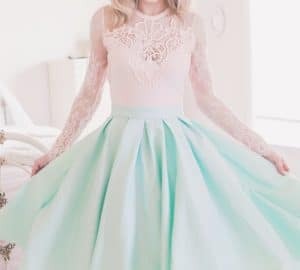 A throwback to the 1980s, puffy sleeves are garnering more and more attention from fashion houses in New York and in Europe. 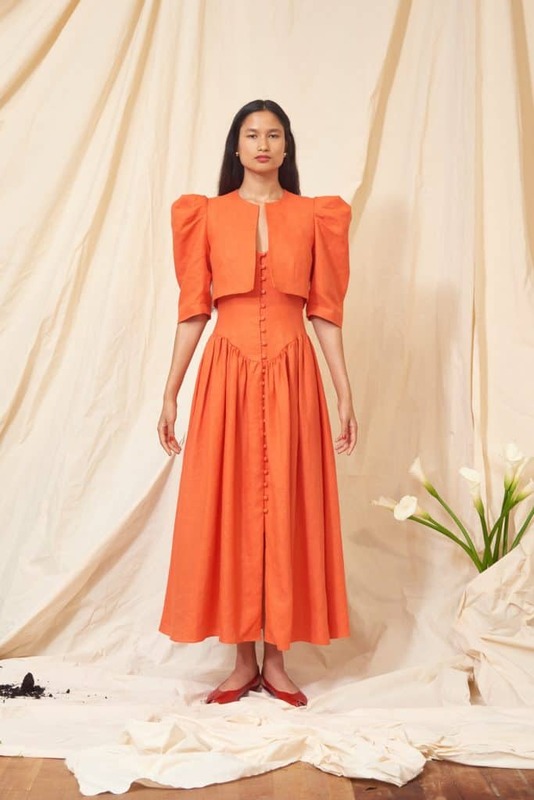 From the very demure as seen above to Marc Jacobs’ over-the-top enormous puffy sleeves, there is something for everyone who wants to wear this trend. The Spring 2019 runways say the following: Beige is the new black. Go head-to-toe in shades of camel, cream, ecru, and oatmeal to take on the trend. I love beige! It’s a blank canvas with which you can do so much. Check out my Pinterest Board “Ready to Wear – Spring Trends“!